I’m still working on older games, but this one is fairly obscure. 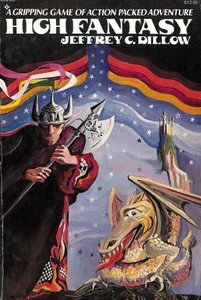 High Fantasy, from Reston Publishing (Prentice-Hall), was published in 1978. I likely would have never heard of, let alone, owned it if it were not for the fact that it was published through the book trade and found its way into regular bookstores. I have two books, High Fantasy and Adventures in High Fantasy. 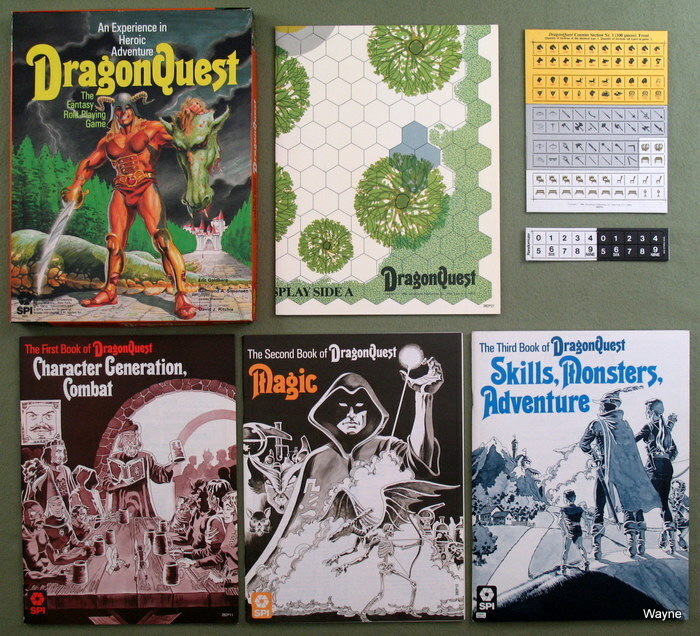 Several standalone adventures, and later, some fiction were also published but I have not seen any of those in person. 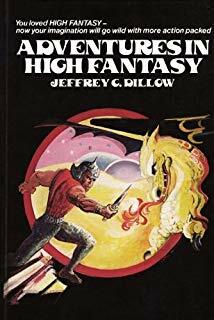 One of those standalone adventures, Fortress Ellendar, is also included in Adventures in High Fantasy. 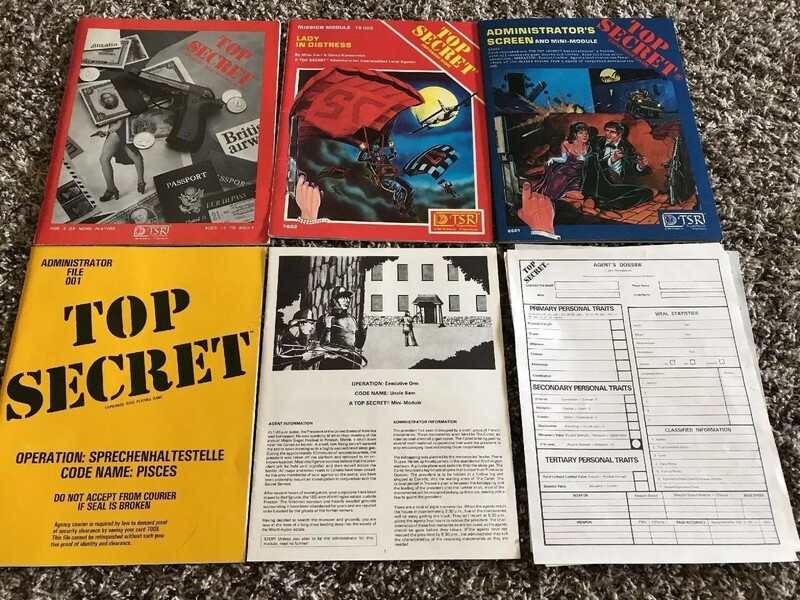 Alas, as far as I can determine, there is not a legal source for this game in PDF format, and the books are long out of print. That said, you can generally score a copy on eBay or through an Amazon affiliate. 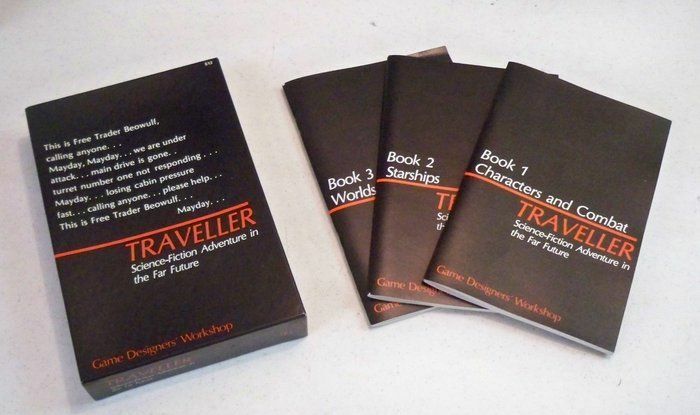 The main rulebook is a digest sized 200 page softcover that includes character gen, magic, combat, a bestiary, a solo adventure, and a fair number of charts. The art is average to good for its era. 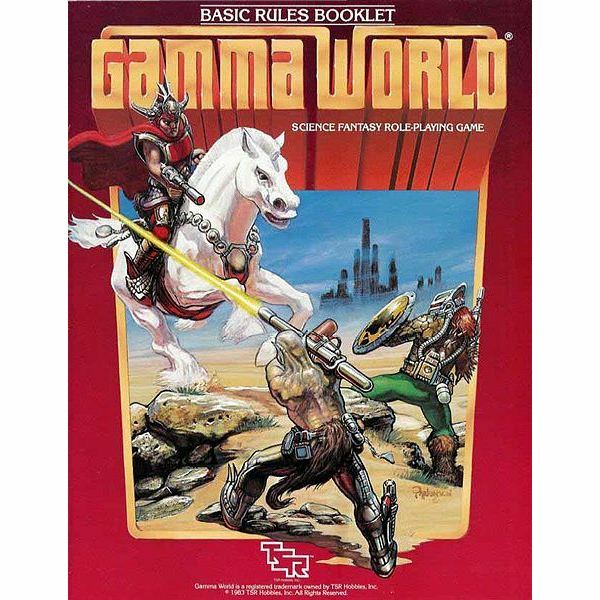 I confess that I never got anyone else to play this one with me, but I’m well acquainted with the solo adventure that was included in the main rulebook. The default setting seemed to be a mix of standard swords & sorcery tropes mixed with pre-Columbian and Hindi influences. It’s not Tekumel, but it’s not Lord of the Rings either. In the process of trying to find some more info about this one, I stumbled upon the author’s website. The author goes into some detail on why the game all but disappeared. 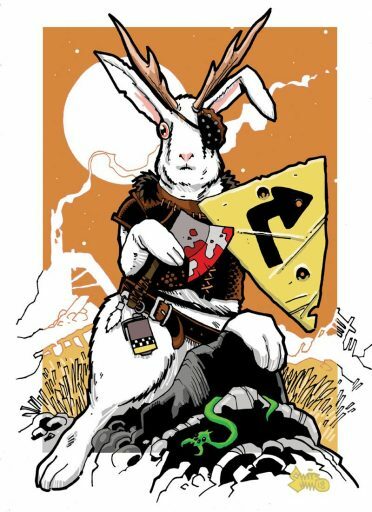 I’m not personally convinced that it would have been more successful, but he did have a strong grasp on how to structure a solo adventure… and that’s a niche I wish had not all but died. In any case, there is published fiction set in his world. Check it out if you’re interested. Character creation is an eleven step process, but since not all classes have magical abilities, for instance, you may end up skipping some of these steps. I decide to make an Alchemist (they get primitive gunpowder firearms), so I will be skipping steps 3 & 4. Basic Offense & Defense are set stats that will increase over time as you level. I record 100 and 30. Your Innate Ability is a simple percentile roll + 1. As you level, that plus will increase. I roll a 41, so my Innate Ability is 42. Roll d100 for Strength & Coordination. These stats may modify your offense and defense. I get a 69 for Strength, and a 21 for Coordination. No positive or negative modifiers will be applied after consulting the table. Roll d100 for Quickness and then compare roll to table to determine Innate Quickness. I rolled a 66, so my Innate Quickness is 16, which is actually decent. Roll d100 for wealth. I will be starting with 66 silver tams (sp). Buy armor. Being an alchemist and not really all that strong, I buy a leather jerkin. Buy weapon(s). As an alchemist, I will start with an arquebus, but some sort of melee weapon is still a good idea. I buy a dagger. This is not really meant to be a melee focused character. Step 10 is optional, but here you calculate your encumbrance tiers. I’ll spare the specifics, but you multiply your strength roll by a modifier listed on the character sheet for each tier. I thought you said it was eleven steps? More optional rules follow for talents, which include personal background skills (Acrobatics, Business Sense, etc.) and the five basic senses (Hearing, etc.). After all of that, we finally get a description of the classes and then a list of subclasses as well. I choose to be a Jeweler for my subclass.